Scott Givens has over 25 years of riding and competing under his pedals. After achieving the globally recognized BICP Level 2 Certification in 2013, he launched PedalTherapy.com, now the go-to coaching provider in the Phoenix area. 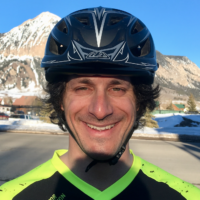 He’s an active member of his local trail advocacy organization (DFMBA) by helping to host kids races at local events, and co-founder of Pedal With Warriors, a not-for-profit dedicated to getting veterans on mountain bikes. For over 10 years, Scott has provided his services to Magura’s annual press camps in Sedona (where he’s known for delicious sourdough pancakes). His latest project, Bike Paradise Vacations, offers bespoke off-season training vacations to enthusiasts escaping the cold. 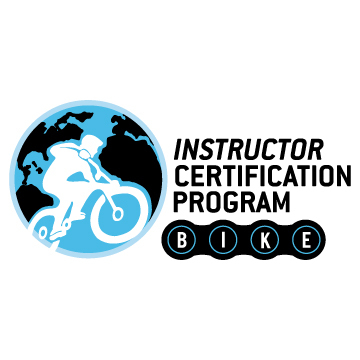 To sharpen his skills, Scott is actively pursuing the top BICP Level 3 Certification (to instruct advanced skills) and Level 1 Instructor Trainer (to train Ride Guides). Scott has called Phoenix, AZ home since 1997 and enjoys the almost perfect year-round riding weather with his wife, two sons, and a yellow lab. When it becomes hot enough in the summers to melt your tires, you might find Scott and his family cooling off and water-skiing at Bartlett or Roosevelt Lake, or heading to higher country for camping trips and enduro racing.